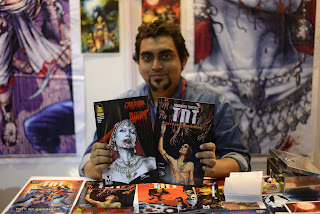 Karan Bhasin picks out several Indian comic books worth reading. Keidra Chaney & Raizel Liebler discuss default whiteness in media. Although it's not focused on comics specifically, it touches on the recurring issue of the races of fictional characters. Jim Shelley admits his predictions for a dire 2015 in comics were off the mark, but he doesn't see things shaping up very well for 2016.